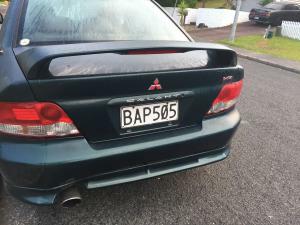 A Mitsubishi Galant has been left on the street outside 11 Tree View Av since October 2017 with no current rego . Rubbish is gathering under it . I have informed Auckland Transport via their online form but have had no reply.